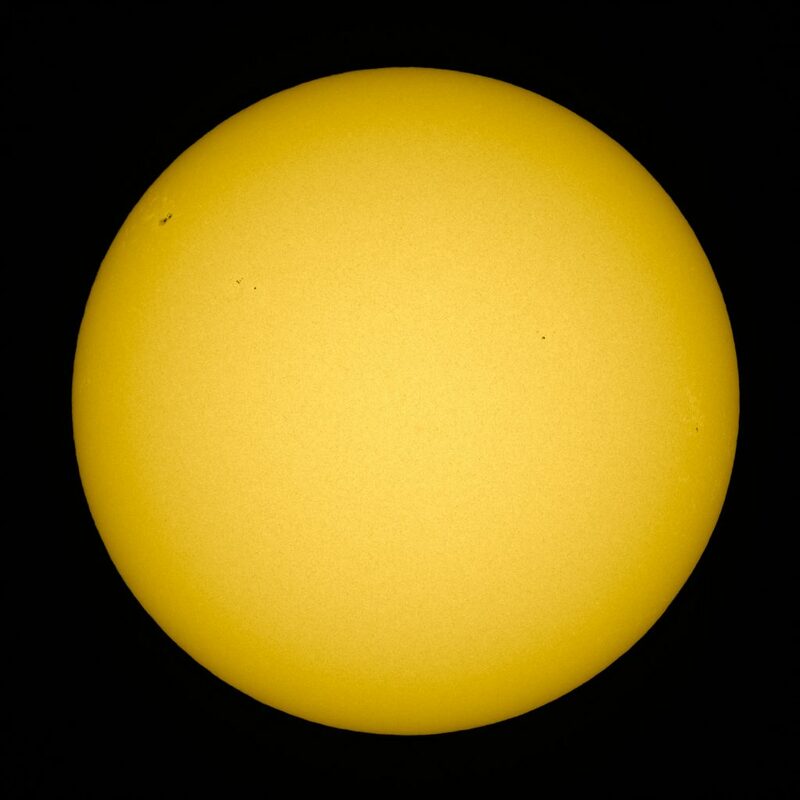 Today I was making sure everything is in working order for Monday’s transit of Mercury across the sun. 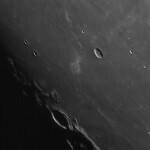 I was able to fix the issue of the declination runaway motor of our club’s LXD-650 mount, and took some images using the 127mm refractor with a 1,4x teleconverter. 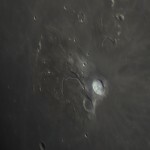 Aristarchus is a young, and therefore very bright crater. Next to it is the Schroeter Valley, a rille, probably created by flowing lava. 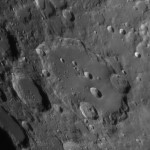 Hainzl (top left) and Schiller (lower right) are very unusually shaped craters. 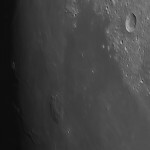 Aristarchus and Schroeter Valley lie on a slightly elevated diamond shaped piece of terrain. 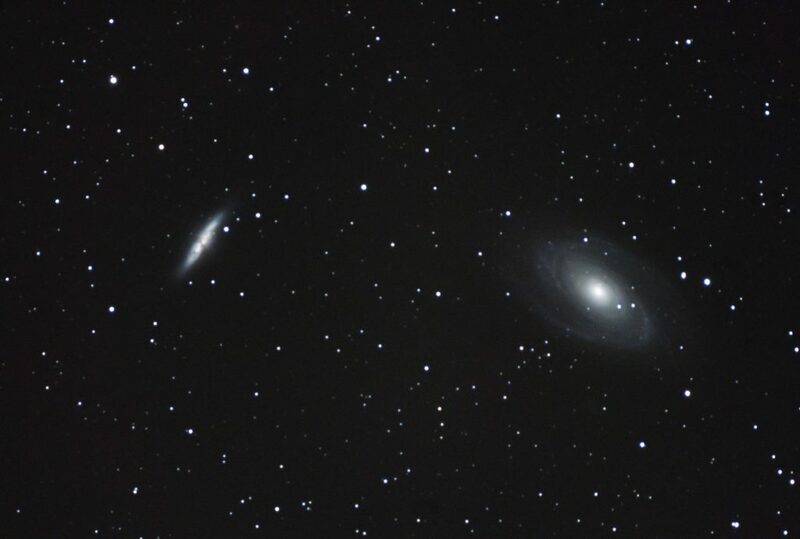 In this color enhanced image you see a brownish tint in comparison to the surrounding mare material. 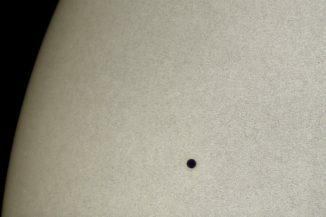 Reiner Gamma is an enigmatic bright swirl on the lunar surface. 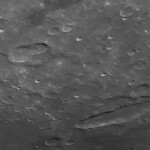 At lower left Mons Ruemker is seen as a slight bump on the plain of the mare. 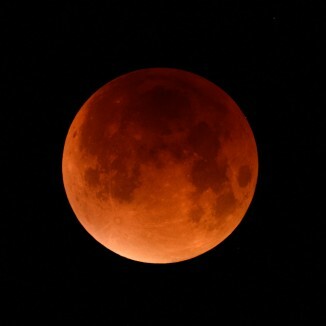 Apparently it is a lunar shield volcano. Wargentin is the crater at lower right that has filled up with lava right up to the brim. 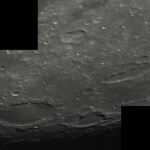 In this mosaic you can see the relative location of Wargentin, Hainzl and Schiller. 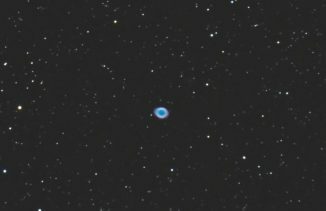 127mm f/8 AP refractor, Televue 3x Barlow, QHY5L-II color CMOS camera, stacked in Autostakkert, processing in Photoshop. 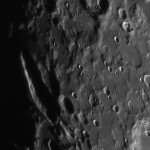 Clavius is the third largest crater on the visible side of the moon. It has a diamter of 225 km and is 3.5 km deep. 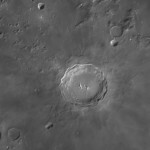 Schiller is a very oblong lunar crater. 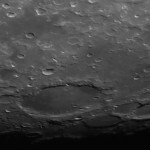 It seems to be a fusion of two or more craters, probably created by a very oblique impact. 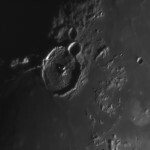 Plato is the flat floored crater in the top of the image, to the right, a rille, the rima Plato is visible. To the lower right the Alpine Valley cuts through the Montes Alpes. Gassendi has a diameter of 110km and is 1.9km deep. 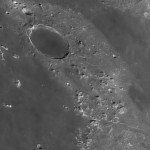 In the image the system of rilles on the crater floor is visible. 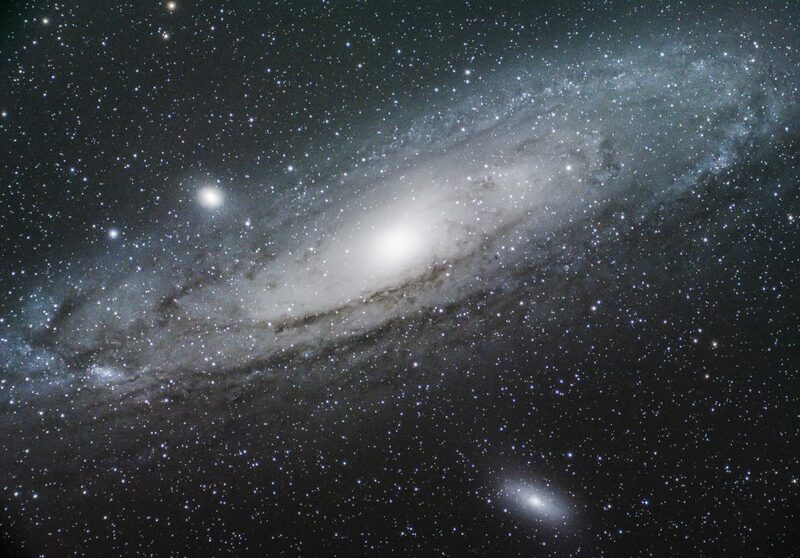 Copernicus has a diameter of 93 km and is 3.8 km deep. 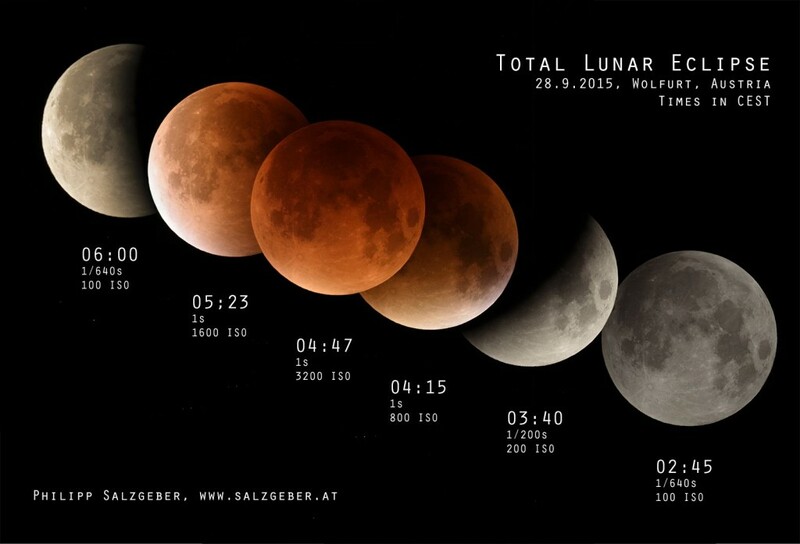 The September 28th total lunar eclipse was very impressive, as it turned out to be a very dark one, and for once, it happened in a perfectly clear sky.